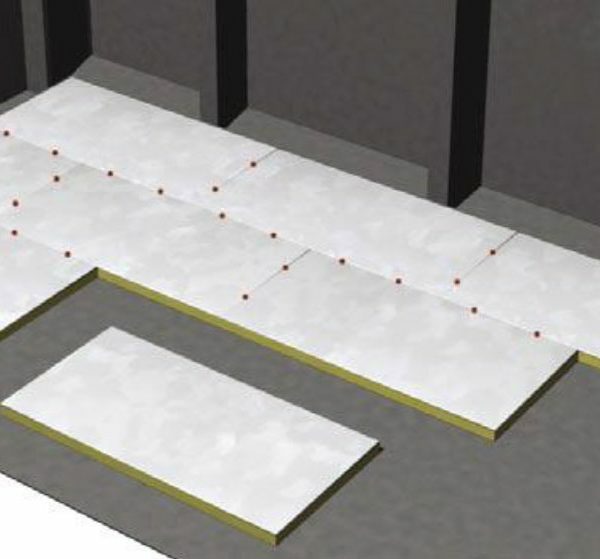 To ensure a flat surface the steel deck may require leveling before laying the TNF floor units. The units are laid in staggered rows. The layout of the units should start at a corner. Due to the characteristics of the mineral wool, minor in-equalities of the deck surface may be taken up by the floor units. The units are easily cut by an angle grinder or similar. The units are tack-welded together on all edges per every 300 mm. The joints between the units should be sealed.